Palate: Truly nutty and spicy, well balanced and round, with a superb long finish. 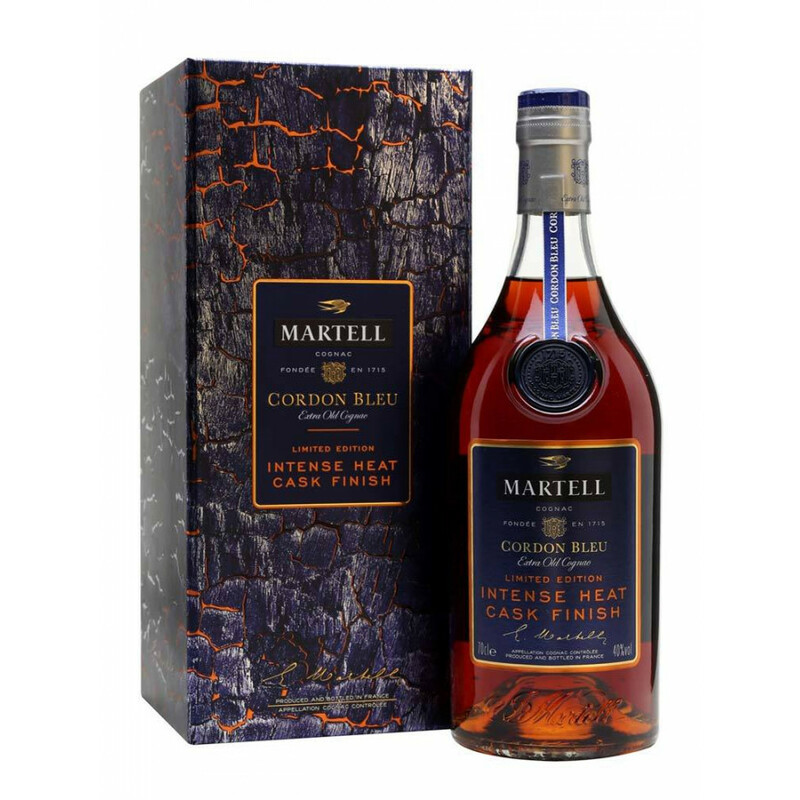 The Martell Cordon Bleu XO Intense Heat Limited Edition Cognac is a wonderful twist on the much loved regular Cordon Bleu. Produed specifically for the 2017 Chinese New Year, the Cognac was a first for the house of Martell in that the aging process was finished of in heat toasted wooden casks. This led to a wonderfully woody, nutty, spicy tones being imparted into the Cognac, giving it a truly unique taste. Only produced in a limited edition, the Cognac is presented in a blue bottle with golden addition, representing the charring of the barrels. It comes in a matching presentation box, with the addition of some special 'links' that, when rubbed, glow red like the embers of a fire. A great Cognac, and one that will be well-sought after, both by collectors and those who are lovers of the iconic Martell Cordon Bleu.